For those who are writing, worrying and praying about how we are, here is the latest personal account from Israel. This morning we woke to news of some of the results of last night’s ground incursion into Gaza by Israeli troops. I genuinely believe that had Hamas kept the quiet, Israel would not have sent in ground forces, not to put our men at risk and not to risk harming Palestinian Arabs who are being used as pawns and human shields. As a rule, we pray for peace and hope that we won’t have to defend ourselves, but we also need to be fully prepared for any eventuality, just in case. Yesterday was just such a case, and I have pasted the list of known rocket attacks on Israel at the end of this recount so you have a sense of what we had to deal with on just one day, a particularly harsh day despite declaring – and Israel upholding – a humanitarian truce in order to allow the safe delivery of medical supplies and food. Before the operation escalated into a ground war, I posted on Facebook a contest to buy lunch for the person who correctly guessed how many times terrorists would fire rockets and mortars at Israel during the “humanitarian truce” that was declared yesterday for five hours. Responses were entertaining, providing a way to vent our anger, frustration and fears. The correct number was “only” three. As we prepare for the onset of Shabbat, we are glued to our TV, radio and mobile devices for the latest news of the ground war in Gaza. Our hearts go out to the family of Sgt. Eitan Barak, and to the several of the other soldiers who we know of who have been injured. We pray there will be no other casualties. Friends, children of friends, and husbands of friends are among the reserve soldiers called up to defend Israel by destroying the Hamas terrorist infrastructure. It’s so close to home that the home front is our front yard, as evidenced by the rocket that landed and exploded just a few hundred meters from our home last Shabbat. All reports we hear are of soldiers ready willing and able to be uprooting the terrorist infrastructure that Hamas and Islamic Jihad have amassed against us. The feeling is that rather than a cease fire, only to repeat the same scenario in a year or two, this needs to be an operation that severely cripples if not entirely eliminates the ability for terrorists to do this again. It’s hard to imagine a time out where it’s just a phase for the terrorists to rearm. However, it’s also hard to imagine the allowing of importing of many things that have been used to build this infrastructure such as concrete, where the terrorists have diverted resources to build and reinforce tunnels and bunkers rather than build for their own people. One of my daughter’s closest friends is an officer in the army’s engineering corps. As the ground operation started last night, she turned to me and said, “N. must be going out of his mind not being on the front and instead training his new recruits.” Indeed, that’s the feeling here. We have a job to do and a responsibility to get it done. I am scheduled to fly to the US on Sunday and plan to do so, but with mixed feelings. It’s essential to bring a firsthand report to ministries with which I work, and thank them and encourage them in their support. It’s a divine partnership. However, precisely when Israel is at threat, it is not the time to leave, but to stay and go about our lives. 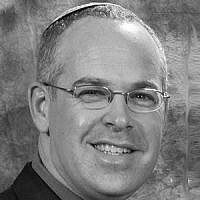 I hesitate to leave my wife and kids behind, and have already warned my kids about the likelihood of increased violence during Ramadan, but am comforted by the belief that as long as the Israeli army is on the ground and the terrorists are on the ropes, the propensity for rockets being fired as far as Jerusalem and near my home is diminished. At least that’s my rationalization. As I do plan to be away from home, I at least will use my presence to the fullest and hope that I will receive so many requests for meetings, briefings and speaking in different churches that I will have to do some by phone and skype. But I will stay up all night if needed to do it because that’s the least I can do. There’s another paradox that’s close to home. My 17 year old daughter is on a school trip in Poland, bearing witness to the unspeakable horrors that our people suffered, including dozens of my relatives, in Europe seven decades ago. She hesitated to leave home as well because she understood it’s not the right time to leave Israel. However, the horrors that she’s bearing witness to are of an era when Jews were powerless, had no state, and no substantive means to defend ourselves. Today, that’s the opposite, and we do so with pride and a sense of responsibility, albeit wishing we didn’t have to do so. We are uplifted by the thoughts and prayers of so many from across the world. If it were possible to wear out Scripture, Psalm 91 would be needing new tires about now with the number of people praying that over us. It provides great comfort to know that so many are praying for us, and I pray in turn that this will continue, and that everyone who knows that Israel is the victim and the efforts we have gone to and will continue to go to are herculean to prevent the innocent loss of life, despite the propaganda and misinformation that others are passing along as truth. Israel has the fire power to make Gaza into a parking lot, but we don’t. We have ethics and values, and cherish life even in war. In fact, Jewish law is that during a war we are not allowed to uproot a fruit tree! How much more so then do we go out of the way to sanctify and preserve life. But war is war. There will be casualties. Yet we do not go out of our way to inflict these, and do everything possible to prevent it. It’s also especially meaningful that so many have turned their prayers into action as well and are supporting Heart to Heart, providing badly needed resources for Israel’s national blood service and ems service which, until the ground war started, had been spending an extra $150,000 per day just to have supplies, staff and resources to be ready and respond to all needs. Several ministries and others have stepped up to donate $100,000 for a new ambulance, some of which are in production already. Individuals are sponsoring units of blood at $100 per unit which is never more needed than now. We even have a generous $1 million matching grant so that any donations that come in now will be matched one to one, up to $1 million. For details please go to www.savinglivesinisrael.org. This week when we wish one another a Shabbat shalom, it’s not just our greeting but our prayer. Jonathan Feldstein made aliyah in 2004, married and raising six children in the Judean mountains. He is a long time Jewish non-profit professional and works closely with many Christians who support Israel.